There’s been a video making the rounds about what the author, the Pop Culture Detective, perceives as an inherent toxic masculinity at the heart of the Jedi in the Star Wars universe and how that toxicity ultimately led to their downfall. The conceit is; because the Jedi train young men (and they are mostly men) to bury their emotions, as Obi-Wan and Yoda instructed Luke to do, that they lack the capability to deal with those emotions in healthy ways. The author insists that Jedi are trained to deny their emotions, and that this stoicism is held as key feature in the Jedi identity. The entire video is wrapped up in the idea that this is a reflection of the real world tendency to instruct young men to detach from their emotions, and that doing so is fundamentally dangerous to the emotional and psychological well being of that individual and, ultimately, dangerous to all of us. Where Pop Culture Detective and I diverge on the issue is in a reading of the text of the films; most especially the prequels. Where PCD reads the text to say that the Jedi must abandon their feelings as a whole, burying all of them both positive and negative, I read as instruction to eschew two specific ideas: attachment and desire. Buddhist teachings, which the Jedi use liberally as part of their philosophy, tells us that desire and attachment are the root of suffering. Wanting to have, and wanting to hold on to what we have, can and often will lead us to dark areas of ourselves. When we desire things we become jealous of those that have them. When we acquire things we become covetous of those things be they material gains, money, power or even people and relationships. Once we have gained those desires we become fearful of losing them, this fear leading to anger and hatred when we feel our attachments or possessions are threatened. We become fearful that those things will be taken from us and in our desire to protect that which we possess we will make use of violent energies to maintain them. This is exactly what Yoda saw in Anakin and what he warned him about. PCD picks up on the classic, “Fear/Anger/Dark Side” dialog but it’s this exchange that they seem to misinterpret. The claim they have made is that Anakin is expressing concern for his mother having been left in questionable hands as a slave yet, when Yoda questions that he is, “afraid to lose her” Anakin all but confirms his feelings. Anakin’s fear isn’t for his mothers well being but for the loss of her presence in his life. It’s his attachment to his mother, his desire to keep her in his life, that will plant the seeds of the Darkside in him. His unwillingness to let go of that attachment, his fear of her death, no matter how horrific that death was, will be what begins to drive him towards the darkness, culminating in his use the Force to slaughter the Tuskan Raider camp out of anger and hatred for their act. After his mothers death he states that the reason he couldn’t save her was because he wasn’t powerful enough, and that he would seek the power to prevent that kind of loss again. For a Jedi this is where desire and attachment begin to become extremely dangerous. However his feelings for his mother are only one small part of the equation as Anakin has another desire more powerful than that of being with his mother; his desire for Padme. It’s made clear in Episode 1 that Anakin has feelings for Padme, and it was joked about as being merely weird or creepy but there was a longer game at play. Episode 1 laid the foundation for a new desire that would at least equal Anakin’s desire to keep his mother in his life. At the outset of Episode 2 it’s very clear that Anakin has an unhealthy fixation on Padme. In short, he want’s her; and he spends a significant portion of the movie trying to get her. After the death of his mother, Anakin transfers the entirety of his desire onto Padme and she becomes the singular attachment he wants to protect. Already angry that he wasn’t powerful enough to prevent his mothers death he begins to dream that Padme will die as well, and it drives him to seek even more power to keep her alive. This desire made him singularly focused and easy to manipulate not because he wanted to keep Padme alive for her sake but because, as he said, he didn’t wan’t to, “lose” her too. Because of his attachment to Padme, his desire to keep her and his fear of losing her Anakin would go on to do terrible things as his sought the power to keep her. And as always happens when people seek power, it wasn’t going to stop with Padme as Anakin’s desire for the power over death turned into a desire for power enough to control the galaxy. That desire was then subverted by the Emperor and Anakin was used as the weapon to fulfill his desires instead. It is the Jedi’s access to the Force and the power it provides that makes desire and attachment the danger that it is. The Force can easily make most any desire attainable and this is what ultimately separates the Jedi from the Sith. The Sith allow their desires to drive them, and they use the Force to fulfill those desires selfishly. The Jedi combat that not by exiling emotion but by not succumbing to desire and attachment. If you want nothing, and have nothing to lose then you are less likely to use the power the Force grants you for your own selfish ends, thus sparing others from the danger inherent in that pursuit as well as preserving the light in your own soul. Anakin fell to the Darkside because his attachment to his mother, his pain at losing her and his fear of losing Padme pushed him to seek more power. Luke was almost taken by Vader because of his attachment to his friends, surviving his encounter more by luck than skill. He was tempted to the Darkside, almost killing his father, because of his attachment to his sister and his fear of losing her. I can’t say for certain but I suspect the reason Jedi candidates are taken so young is so that they do not have the chance to develop the kinds of emotional attachments that become dangerous. That’s the reason, I believe, Yoda was concerned that Luke was too old; because he had already developed attachments and desires that could lead him to the Darkside. For a normal person this might make you an awful human being but, for someone with access to the Force; it could make you a monster. In general, Pop Culture Detective’s point is spot on. Bottling up your feelings and putting on a stoic face is a dangerous choice to make. Eventually, the levee you construct to hold your emotions will break and that could be dangerous to both you and anyone who might be caught in the flood tide. However, I believe in this case the author of the video started with a conclusion and worked backwards through the films, picking and choosing pieces of text to support that conclusion in deference to the meaning of said text. Over and over again Anakin is told that his desires and attachments are dangerous to hold and yet he ignores this council. Problematically, the video uses a portion of dialog where Anakin tells Padme exactly what he’s been taught; telling her that possession and attachment are forbidden to the Jedi. I extend possession out to desire as the want to posses comes from desire. Part of the reason it’s difficult for the audience to truly appreciate the message in that advice is because we have fostered this idea that there is a, “good” Force and a, “bad” Force. We’ve done this through countless hours of video games and comic books and novels that portray the two sides of the Force as so distinctly, inherently different. But the Force is just an energy; it’s neither good nor evil. It simply is. Evil in itself is not an actual thing that exists. You can’t pick up a handful of evil and bounce it like a ball. Evil is a perspective, the outcome of a series of choices that we make and how those choices are seen by others. When the choices you make begin to hurt others is where the perception of evil lies. The more people you hurt, the more evil you are perceived to be. Having desires or attachments are not, of themselves, bad or evil. It’s what one does in the pursuit of desires or in the protection of those attachments that the problem lay. Like the teachings of the Buddha, the Jedi seek to rid themselves of those issues to spare others the consequences of acting on them. 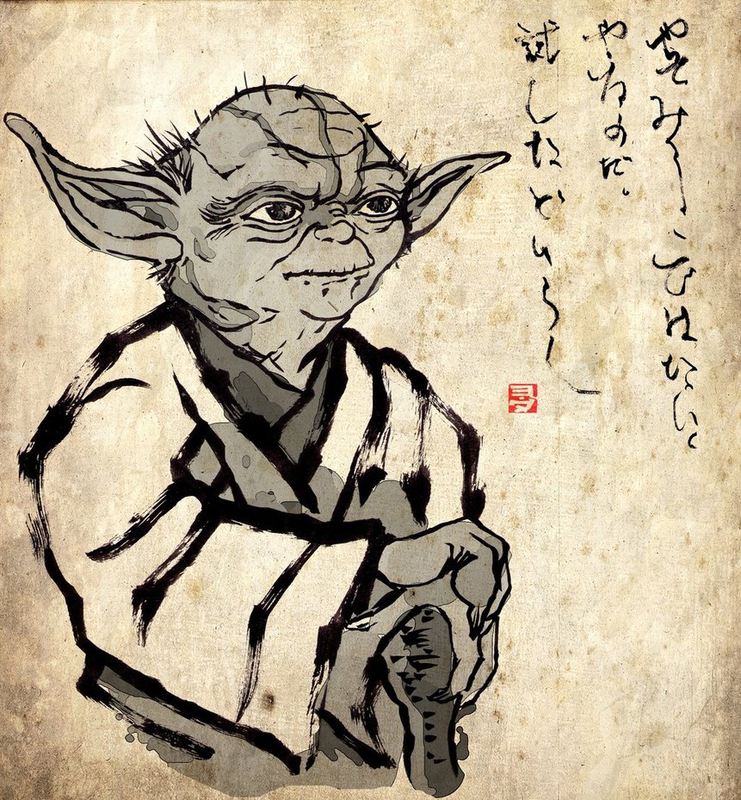 Much of Jedi philosophy is based on Buddhism and other Eastern philosophies and there are a great many resources that can illustrate where these teachings are drawn from. I suggest that anyone looking to really understand these ideas seek this knowledge for themselves. One need not undertake a pilgrimage or become a monk to incorporate these ideas into their lives. Learning to forgo attachment and desire is not always attainable in the world we live. It can seem that the pursuit of this detachment from want is almost an act for which to be punished but there is a purity in letting these things go. 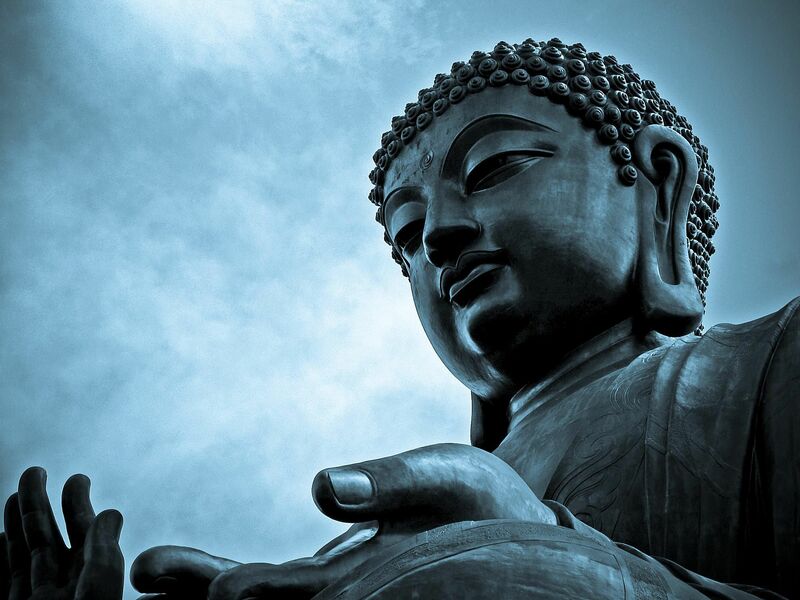 Buddhism teaches that the fulfillment we seek can only come from within. Nothing you can have, or own, or take will ever truly bring you true peace or joy. Buddhism does not teach the rejection of emotions as they are vitally important for spiritual, mental and physical health. They do teach that you should not to let your emotions control you, just as the Jedi do. The rejection of desire and attachment is a pursuit meant to bring spiritual peace. For the Jedi is has a very specific secondary benefit; it keeps Force users from ripping the universe apart warring for their own desires, as the Sith once did. If you look around our world I believe you can see some of this happening as we do great harm to one another in our pursuit of the things we want and our desire to protect the things we have. If the conversation must be framed as one centered on masculinity I would think, looking at our world, it would be apparent why it’s important for men to look closely at these teachings, as it is the male desire to have and to control that is at the heart of many of our current social, cultural and political problems.